Some eye infections can cause damage to your eyes and negatively affect your daily life. 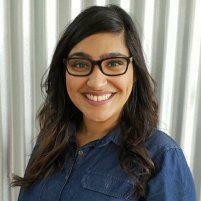 From bacterial infections to fungal and viral infections, Alisha Poonawala, OD, at Pack Optical in Fort Worth, Texas, can treat your eyes and help you take charge of your eye health. To learn more, book an appointment online or over the phone today. Eye infections happen when harmful microorganisms — bacteria, fungi, and viruses — invade any area of your eyeball or the surrounding area. This includes the thin membrane lining your outer eye, your inner eyelids, and the front surface of your eye. If you suspect you have an eye infection, you should visit Dr. Poonawala for an eye exam and treatment. Delaying an evaluation could potentially delay effective treatment and harm your sight if the infection worsens. If you have an eye infection, don’t wear your contact lenses. Instead, wear clean eyeglasses until you’ve visited Dr. Poonawala for a diagnosis. What are the different types of eye infections? There are different types of eye infections. Pink eye, or conjunctivitis, is one of the most common eye infections. This highly contagious eye infection involves inflammation of the thin, protective membrane that covers the surface of your eyeball and the inner surface of your eyelids. Some people may have endophthalmitis, which is when an eye infection penetrates your eye’s interior, which can result in blindness. What are the treatments for an eye infection? In some cases, Dr. Poonawala may prescribe oral antibiotics or antiviral medications. If you think you have an eye infection, call Pack Optical or book an appointment online for compassionate optometric care from highly qualified specialists.